Long tail boat tour Phang Nga Bay. Most people come to Thailand and really want to experience Thai culture. One of the great ways to do this is take a ride on a traditional Thai Longtail boat, they are so much fun. The ride is fairly smooth and you sit on bench like seats and cruise in between the island in Phang Nga Bay, it is so beautiful. All of the sides of the longtail boat are low so you can easily get some great photo’s where as on speed boats it is not easy to take pictures outside when you are moving. 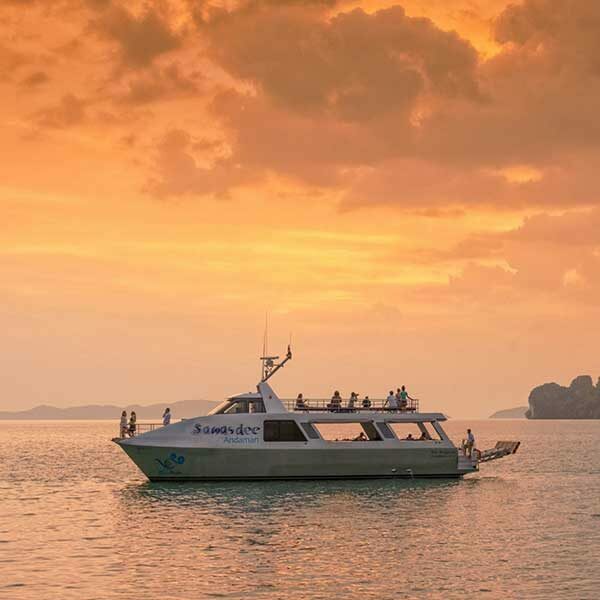 You will have fun on this trip so book your seat on our Long tail boat tour Phang Nga Bay. 09.00-09.30 Guest Pick up from your hotel by minibus. 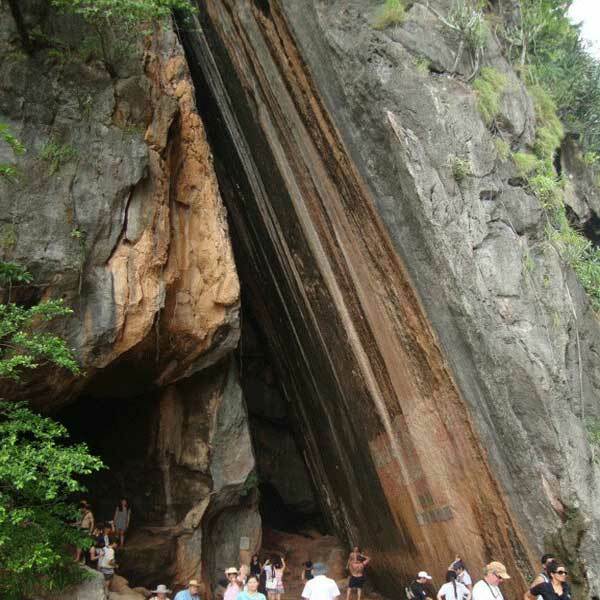 10.30 Arrive at Wat Tham Suwanakhuka (Buddha Cave Temple) Appeciate the interior of the surrouding cave and pay respect to the great beauty of the 15 Meter long reclining Buddha image. 13.00-13.30 Visit Muslim Village Panyee Island, have a great Lunch at the Restaurant. 14.30 Enjoy canoe at Talu Island. 15.30 Return back to Surakul Pier at Phang Nga. 17.00-17.30 Arrive back at your hotel. 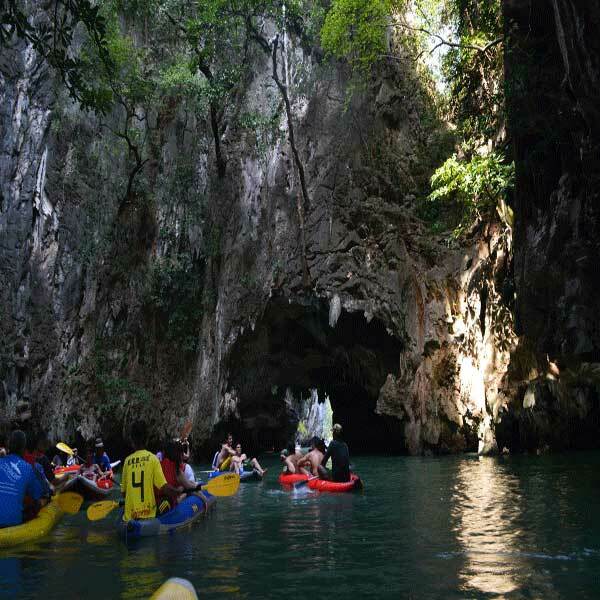 Koh Madsum Koh Tan Kayaking Tour B. 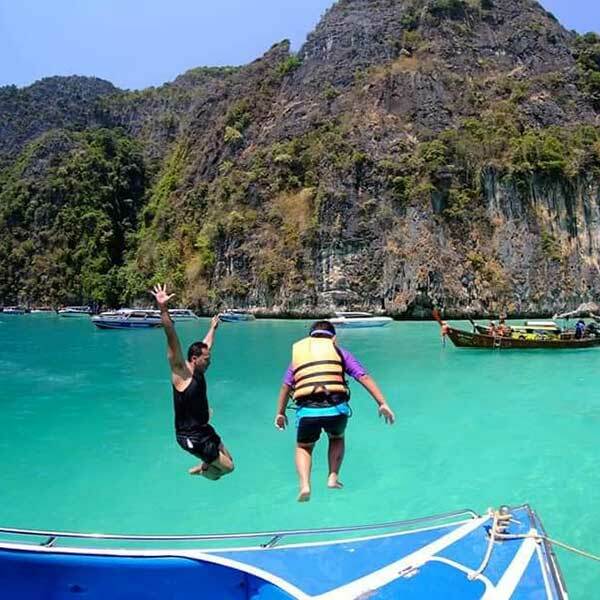 If you like snorkeling, swimming in the Ocean and doing some kayaking, take a look at this tour.